Never heard of us? We are actually one of the fastest growing brokers in the UK. This means that you can choose GoSkippy with confidence. Our friendly website makes it easy for you to get cheap car insurance quotes online. Over 280,000 people already trust us with their car insurance. We are both affordable and reliable. We also bring you excellent customer service and a large choice of optional extras. GoSkippy offers car insurance with different policy options. We suit a variety of customers and budgets. We offer comprehensive and third party, fire and theft cover. Compare car insurance quotes with GoSkippy today. To find out what cover will suit you best, click here to read more. You can also find us on top car insurance comparison sites. GoSkippy provides you with cheap car insurance and we give you the choice to personalise your cover with additional car insurance products. Take control of your car insurance. You can log into your online customer portal, which can be accessed 24/7. Here you can make changes to your cover, request and send documents and have peace of mind that your car insurance cover is up to date. If you are short for time, we have a excellent ‘self-help’ service. Here you can find answers to your car insurance questions without having to pick up the phone. Find help through our live chat service. We have a team of our customer service agents who are ready and waiting to help you with your policy. Our products blend both affordability and product excellence. 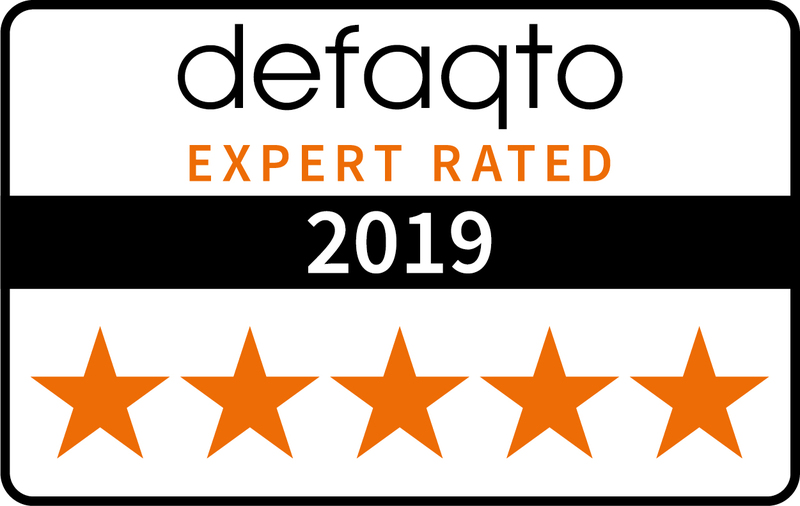 We are proud that our Southern Rock and Watford car insurance policies are 5-star Defaqto rated. We understand that getting a car insurance quote can sometimes be quite stressful. 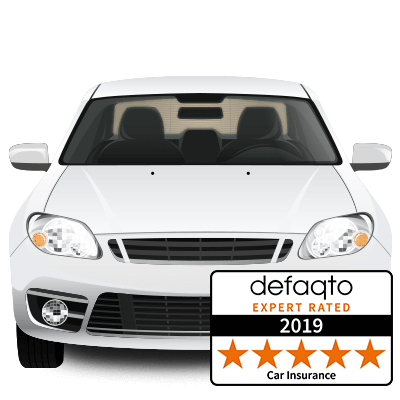 Here at GoSkippy we have made it quick and easy for you to compare car insurance, get a cheap car insurance quote and take out a policy online. If you prefer you can give us a call or find us on car insurance comparison sites. We will need to know some information about your car. If you know your registration, do not worry. Our system will fill in the majority of the car details for you. Do not panic if you do not know your car registration. Select ‘I don’t know my registration number’. You will need to enter the make, model and the year and we will do the rest for you. We will request some personal information about all drivers on the policy. We will need the names, date of birth and driving licence details. We will also need to be aware of any motoring claims or penalty points you or your name drivers may have. We will ask for details of any claims or motoring within the last 3 years. We will also ask for any motoring convictions within the last 5 years. We want to help you reduce the cost of your car insurance. Enter your correct amount of no claims discount you have earned. Your no claims discount is the on the amount of years have been driving with zero claims. The higher your no claims discount is, the better premium you will receive. You should be able to find this on your previous insurers policy documents. It is important that we know when you would like your policy to start. Please have this in mind when starting your quote. An incorrect start date may affect your premium. Car insurance is a legal requirement. Depending on your level of cover, car insurance can pay out if you are involved in a motor accident. Your vehicle is damaged or stolen. Third Party Insurance is the legal minimum level of cover. An excess is an amount you are required to pay towards any claims you make on your policy. Usually, this is made up of two parts; compulsory and voluntary excess. If the accident is determined as non-fault, you may receive the excess back. We offer excess protection cover which you can add to your policy. Your No Claims Bonus/Discount is the number of years in which you have had insurance cover and have not made a claim. The more years NCD you have the bigger the discount you will receive from your insurance premium. We also offer NCD protection. You can choose to add on to your policy. This means that if there was a claim made on your policy, you may not lose any of your years NCD. Will GoSkippy match competitors price? We try to provide our customers with the best possible prices. Our best price is always displayed online so we don’t need to price match. Can I drive other cars whilst on third party only cover? Only if you have Driving Other Cars cover. This will be on your certificate of insurance. You should check first to ensure you don’t drive without insurance. This cover is not available with our commercial vehicle insurance policies. Do I have to tell you about previous conviction(s) and offence(s)? Yes. It is important to let your insurer know of any convictions when taking out or renewing a policy. This is to ensure you are paying a premium based on the correct details. If we don’t hold the correct information you may have problems at claim stage. For example your policy may be declared void. Or you may be paid less for a claim to make up for the fact you were not paying the correct premium. You can do this by contacting our customer services team. Please ensure that you hold the correct entitlement to drive the insured car. We do not accept international or any other type of foreign licences. Tip: If in doubt, please check with the DVLA and/or equivalent organisation from the country of origin. Exchange details with the other party. This includes names, phone numbers, address, make, model and registration number of the vehicle. Do I have to inform you if I am going to Europe on holiday, do I need a green card? Also, do I need to pay for cover abroad? It’s best to contact us if you plan on travel abroad. This is so we can confirm that you have the correct cover for the countries you are visiting. If you are travelling in the EU you currently do not need a Green Card to travel. 21 Days before the end of your insurance policy. We send out Renewal Invites to inform you that your policy is up for renewal. You are quoted for the upcoming year. You then have a choice as to whether you would like to lapse the policy or have it renewed. This could be down to a few things. When multiple changes are done on the policy. This can increase your car insurance premium. This is the risk and the rates of the policy. The rates change on an hourly basis by the underwriter. There is no set price for car insurance. Young drivers may find themselves paying high premiums for insurance. Many insurers class them as a high-risk group. This is due to different risk factors and ratings by the insurer. One of the biggest factors is due to their lack of driving experience at such a young age. How to cancel car insurance? GoSkippy make is easy for you to upgrade your car insurance with a range of add ons including Legal Expenses, RAC breakdown cover, Misfuelling, Windscreen cover, Key cover, Excess Protection and Replacement Vehicle cover. Protect yourself from any unexpected legal costs… For as little as £25.99 per annum you will be covered. This covers you for up to £100,000 for a panel of solicitors to assist you. To help recover any money you’ve paid out, following a car accident where the other driver is at fault. This will provide for Legal Costs to pursue damages. If another driver has caused you injury or death, or you’ve had to pay your policy excess or any other expenses. Legal costs to defend against prosecution. Where you have committed an offence while using your vehicle (where there is a reasonable chance of a successful outcome). Legal costs to protect you where your vehicle’s identity has been cloned by someone else. 24-hour legal advice helpline so you can talk to one of our experts at any time about any legal concerns you have. Standard policy exclusions apply, full details are available in the policy documents. Making sure you don’t have to fall back to public transport…. For £33.99 per annum you will be provided with a replacement vehicle for up to 14 days. You will be covered whether your vehicle is un-drivable or written off. This excludes when your vehicle has broken down. A hire vehicle will be provided if your vehicle is stolen, or damaged or deemed un-drivable. Following an accident with another vehicle. Replacement vehicle provided if your vehicle is stolen or immobilised. As a result of an attempted theft, vandalism, or criminal damage. 24-hour helpline, so you can speak to us day or night. Standard policy exclusions apply, full details are available in the policy documents. With GoSkippy breakdown cover you receive RAC roadside assistance 24 hours a day 365 days a year. RAC breakdown patrols fix four out of five vehicles at the roadside, within an average of 30 minutes. And their patrols carry over 500 parts and tools. This includes a universal spare wheel, to get you moving again. RAC Roadside & Recovery – £58.99 per annum. Free vehicle repair at the roadside. If they can’t fix your vehicle it will be recovered to a destination of your choice. Providing you are more than ¼ of a mile from your home. No Call out charges. Roadside assistance if the vehicle has broken down in the UK, Guernsey, Jersey or the Isle of Man. RAC Full UK Breakdown – £92.99 per annum. Free vehicle repair at the roadside. If they can’t fix your vehicle it will be recovered to a destination of your choice. No Call out charges. Roadside assistance if the vehicle has broken down in the UK, Guernsey, Jersey or the Isle of Man. Replacement car hire, alternative transport costs or hotel accommodation will be provided. If your vehicle cannot be repaired at the roadside. RAC Full UK & EU Breakdown – £118.99 per annum. Assistance at the roadside by a local breakdown company or garage. If the vehicle cannot be repaired at the roadside it will be recovered to the nearest garage. Up to 14 day hire car (£125 per day and max £1500) If broken-down in Europe. Vehicle transported back to the UK. Providing the repatriation cost is less than the market value of the vehicle. Standard policy exclusions apply, full details are available in the policy documents. With GoSkippy Key cover, for £16.99 per annum you will never have to worry about misplacing your keys again. Key cover provides a key fob. Any keys attached to the key fob will be covered. Including vehicle keys, home and office keys (including security keys and safes). If your keys are stolen, lost, or become broken, or where your keys are locked in denying access to your property. You will be reimbursed the cost of gaining access and/or reimbursement for replacement keys, repair, or replacement of the damaged locks. If you become stranded due to theft or loss of keys, away from home, you are entitled to up to £75.00 per day inclusive. Vehicle hire, for up to 3 days. You will be covered for up to £500 per claim and no excess will be payable. Any claims made will not affect your No Claims Discount. Standard policy exclusions apply, full details are available in the policy documents. In case you put the wrong fuel in…. If you put the wrong fuel in, for only £16.99 per annum. A specialist roadside vehicle will attend and get you back on the road. Your fuel tank will be drained and flushed at the roadside. It will be replenished with 10 litres of the correct fuel. If required, the specialist will recover you and up to 6 passengers. They will take you to the nearest repair centre to drain and flush the fuel tank. They will also replenish with 10 litres of the correct fuel. Dedicated emergency help line. Up to a maximum value of £250 per claim and a maximum number of 3 claims per annum, per vehicle. Standard policy exclusions apply, full details are available in the policy documents. How much? It was only a little crack… A cracked windscreen can not only be expensive, but can also be an MOT failure. You can cover your windscreen, and the other car windows for only £33.99 per annum. Best of all, it won’t affect your no claims bonus. Repair or replacement of your Vehicle’s windows or windscreen glass due to breakage. £100 excess payable for each claim, any claims made will not affect your No Claims Discount. 24/7 Helpline. Included as standard with all our fully comprehensive policies. Standard policy exclusions apply, full details are available in the policy documents. Having an accident can be a pain, then having to pay your excess can just add insult to injury. Our excess protection policy will enable you to claim back your compulsory excess. We have two levels of cover to suit all budgets starting from £27.99 per annum. You are covered for any claim for an amount equal to your compulsory excess. Providing the compulsory excess is higher than the total claim. XS protect £250 – Level of cover under this policy is up to £250 per annum. XS protect £500 – Level of cover under this policy is up to £500 per annum. Standard policy exclusions apply, full details are available in the policy documents. What does Comprehensive car insurance offer? Fully Comprehensive car Insurance is the highest level of vehicle insurance cover available. With fully comp you will be covered against all of what is provided for TPFT. Plus accidental damage to your car for any accidents. Whether it results in a fault or non-fault claim. Fully comp provides protection for yourself, your vehicle and for others. Your vehicle is even protected when unattended. this includes any vandalism damage, theft, fire and accidental damage. Without fully comprehensive cover you are at risk of having to fork out for any repairs yourself. It gives you that added level of protection and peace of mind that you won’t have to pay for unexpected expenses. Whether or not it is your fault, claims can result in loss of No Claims Bonus. You may have the option of protecting your No Claims Bonus. You can speak to one of our advisors for more information. Remember, an excess is payable in the event of a claim. What does Third Party, Fire and Theft car insurance offer? Third party, fire and theft (TPFT) car insurance offers slightly more that the legal minimum level of cover. TPFT Insurance provides cover for the cost of any damage or any injuries to a third party. This level of cover also extends to fire damage of your car, or damage arising out of the theft or attempted theft of your car. You are not covered for damaged to your own car in the event of an accident that was your fault. Our Car insurance specialists will assist you with any insurance queries you may have. To make it more convenient for you, you can talk to our friendly customer service team online! We have live chat on our website, so you don’t always have to pick up the phone. Prefer to find the answers yourself? Visit our Self Help service by clicking the icon to the bottom-right of this website. Did you know that most of our customers save time by purchasing a policy online quickly and easily via our website, GoSkippy.com. There is a small admin fee of £10 to purchase a policy over the phone, which will be added to the annual policy arrangement fee.